We are a family run business with over 30 years’ experience within the construction industry and we are committed to offering our customers a reliable, qualified, certified and competitive experience to all our commercial and residential projects. 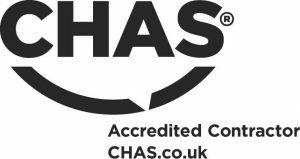 We are members of the Guild of Master Craftsmen and we were one of the first UK companies to be recognised by BM Trada as approved fire door installers & fire door fitters, under their Q- Mark scheme. A doorset’s fire resistance capabilities can be seriously compromised if it is not installed and maintained by individuals who possess the correct knowledge of this life safety product. We specialise in the installation, repair and maintenance of fire rated doors in London. Fire Door Experts is certified under the Exova BM TRADA Q-Mark third party certification scheme to undertake both fire door installation and fire exit doors along with on-going maintenance work, providing you with the reassurance that your fire doors will be installed and maintained by our qualified team of accredited carpenters. Our intention is to offer peace of mind and reassurance to commercial businesses and residential premises where you need fire door fitting services in London and the home counties. We’re an approachable business located around the circumference of the M25, London, Greater London, the Home Counties, and the South East whom can provide all your fire door solutions and specifications. Our Fire Door Experts will provide a thorough inspection of all the doors in the building to ensure they are safe and effectively protecting all the occupants against smoke in the event of. 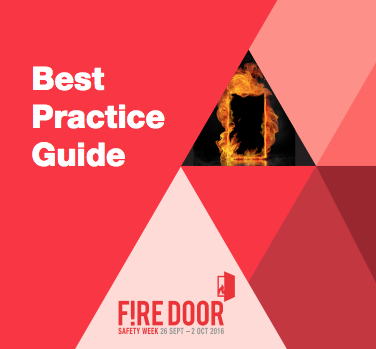 The Regulatory Reform Fire Safety Order 2005 outlines that a suitable system of maintenance for fire doors must be in an efficient state, in efficient working order and in good repair. Fire safety should always come firstAre you responsible for the fire safety in your building? We are a family run business with over 30 years’ experience within the construction industry and we are committed to offering our customers a reliable, qualified, certified and competitive experience to all our commercial and residential projects. We are members of the Guild of Master Craftsmen and we were one of the first UK companies to be recognised by BM Trada as approved fire door installers, under their Q- Mark scheme. A doorset’s fire resistance capabilities can be seriously compromised if it is not installed and maintained by individuals who possess the correct knowledge of this life safety product. Fire Door Experts is certified under the Exova BM TRADA Q-Mark third party certification scheme to undertake both fire door installation and on-going maintenance work, providing you with the reassurance that your fire doors will be installed and maintained by suitably qualified personnel. Our intention is to offer peace of mind and reassurance to commercial businesses and residential premises who require our services. We’re an approachable business located around the circumference of the M25, London, Greater London, the Home Counties, and the South East whom can provide all your fire door solutions and specifications. “The stand out strengths of your team is their adaptability. They are all multi skilled operatives hence why we count on them for our projects as we know whatever we throw at them they execute it to a high standard”. “BWC have recently completed the installation of high-end fire doors to a project at Great Ormond Street Hospital. The project was a demanding project not only from a quality perspective, but from a demanding client and a high-end product was needed to be installed. BWC completed this project to a very high standard and our site team and the client were extremely happy with the final end product. I have no hesitation in recommending Simon and the team at BWC for all fire door installation and maintenance projects. The biggest compliment I can make is that they are the only dedicated sub-contractor in our supply chain that I would use for these types of high-end fire door projects”.